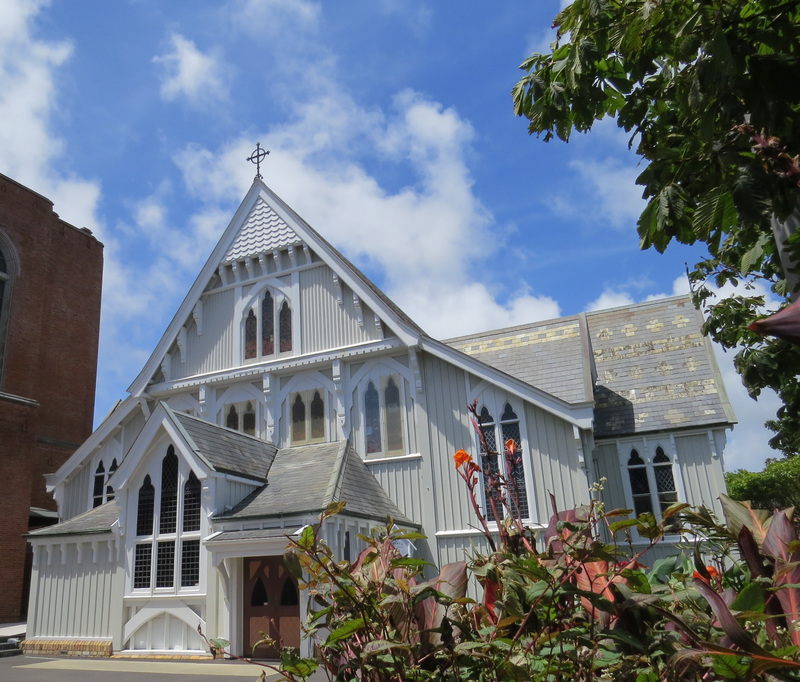 Auckland is well known for its four-season days, so it came as no surprise to find a mixed bag of sun and showers. After letting folk know I had arrived safely, I walked up to K-Road for an exquisite if expensive meal at the Lebanese Restaurant in St Kevin’s Arcade. The bill…a painful reminder of the drastic fall in value of the British Pound. The City YHA was a dream with regard to quietness in comparison with the International YHA …where I stayed last year. With a double room to myself…it was very similar to many budget hotels I’ve stayed in…but with much friendlier residents. Friday turned out to be a day of culture. Philip Smith gave the first in a series of Friday morning organ recitals at the Cathedral. It was wonderful to see Philip again and to enjoy his brilliant performance of an excellent programme of pieces from Bach to Widor that showcased the magnificent new Nicholson instrument. Back in town, I had lunch at the Art Gallery after first visiting the Corsini Collection – a fascinating exhibition featuring Renaissance and Baroque painting by artists such as Botticelli, Andrea del Sarto, Caravaggio and Pontormo, which opened a veritable window on Renaissance Florence. For a perfect end to the day, what could be finer than a delicious meal at an Italian restaurant on Mission Bay in the company of good friends? Bruce and Billy brought me up to speed with life in Auckland and the current state of Body Positive New Zealand of which Bruce is Chair. Saturday proved to be no less exciting with a session at St Mary’s Cathedral on its three manual organ built by George Croft in 1909. 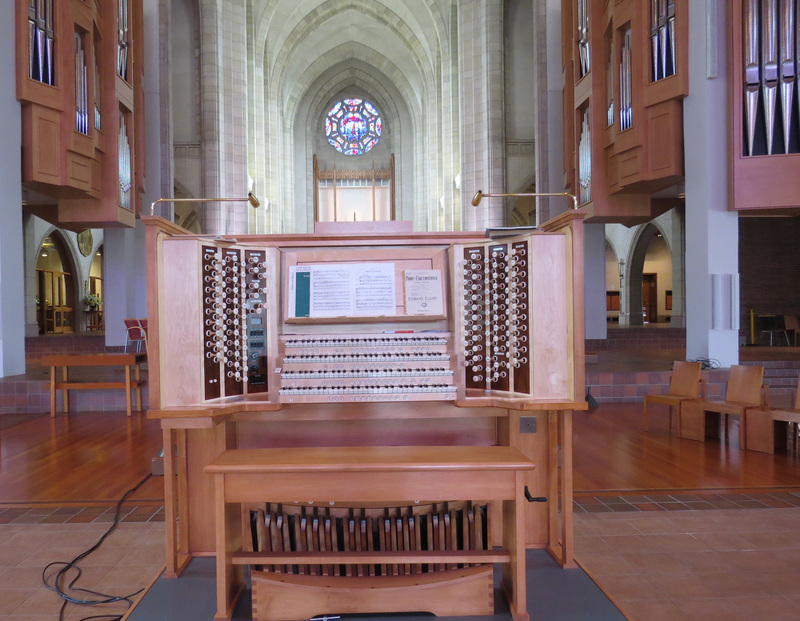 On my visit last year, the organ’s innards were in Brisbane being refurbished…so it came as a pleasant surprise to be able to play on a splendidly restored instrument. I am truly grateful to Philip for allowing me access to the organ in this unique wooden Gothic building. 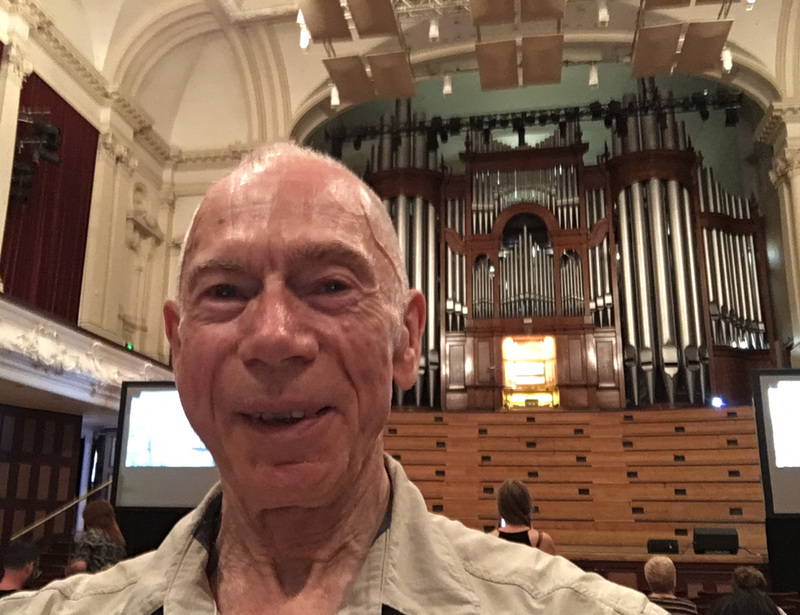 Thanks to the efficient Auckland public transport system, I was in time for the afternoon Town Hall Organ Tour. This is one of the events put on by the Council for locals and tourists as part of their summer programme of free public activities. I never dreamt that I would have a chance to play this magnificent four manual instrument built by the German organ builders Orgelbau Klais of Bonn. But to my amazement and delight that’s just what happened…and the response to my performance of an arrangement of Gabriel’s Oboe – theme tune from The Mission film – was a bit overwhelming. Well it certainly seemed to have resonated with the audience judging by their enthusiastic applause and kind comments afterwards. Sunday was a beautiful sunny day. I attended the 10.00 am service at St Matthew in the City…an LGBT friendly church where Paul Chan is the organist. It turned out that Paul was a pupil of Philip Smith’s and had been an organ scholar at the Cathedral. 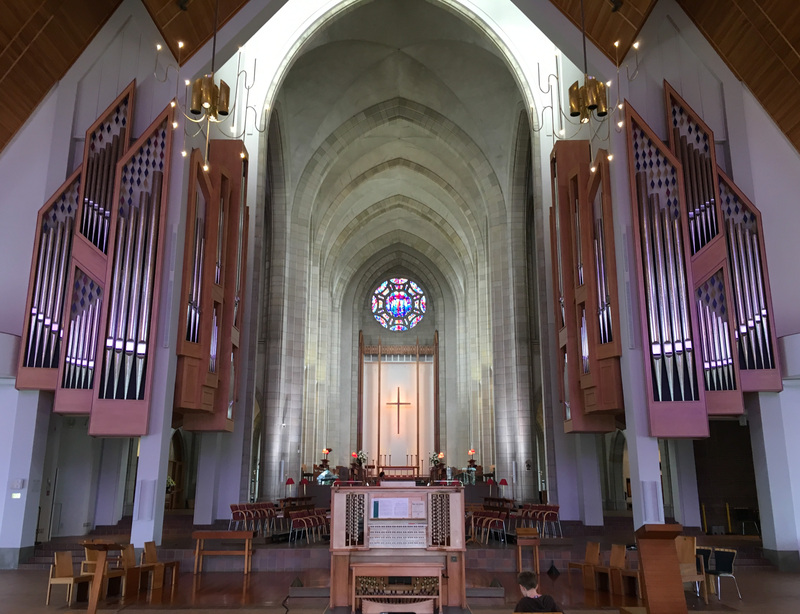 Philip met me at the Cathedral in the afternoon, letting me loose on the amazing new four manual Nicholson instrument which is the biggest church pipe organ in the Southern Hemisphere. Fantastic! My short visit to New Zealand was rounded off with a most enjoyable al fresco meal with Owen and Ian at their traditional wooden frame home in Grey Lynn. Bruce, their Miniature Schnauzer appeared as pleased to see me as his owners. Reaffirming friendship with stimulating conversation over delicious food and wine…made a perfect end to the day. Torrential rain arrived overnight. 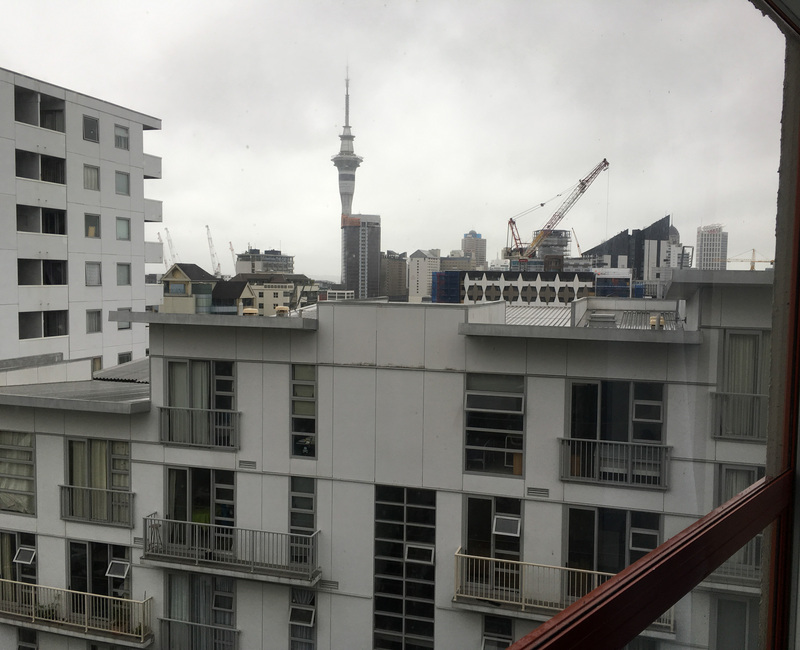 It was still bucketing it down at breakfast…so as soon as the intensity of the downpour eased…I headed down the steep hill to catch the Skybus to Auckland Airport for a flight back to Melbourne. 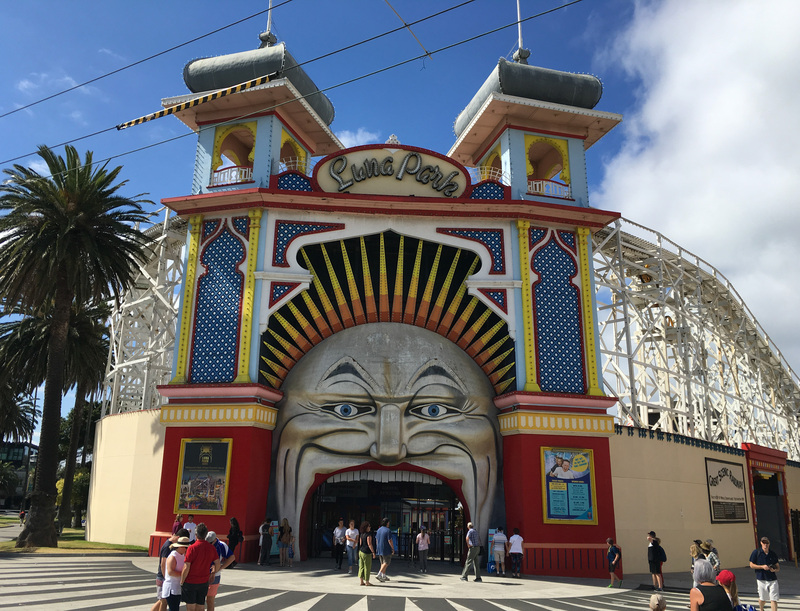 With an early flight home at an ungodly hour on Wednesday morning, it made sense to book into an Airport Hotel in Melbourne. The Holiday Inn, was just what I needed. 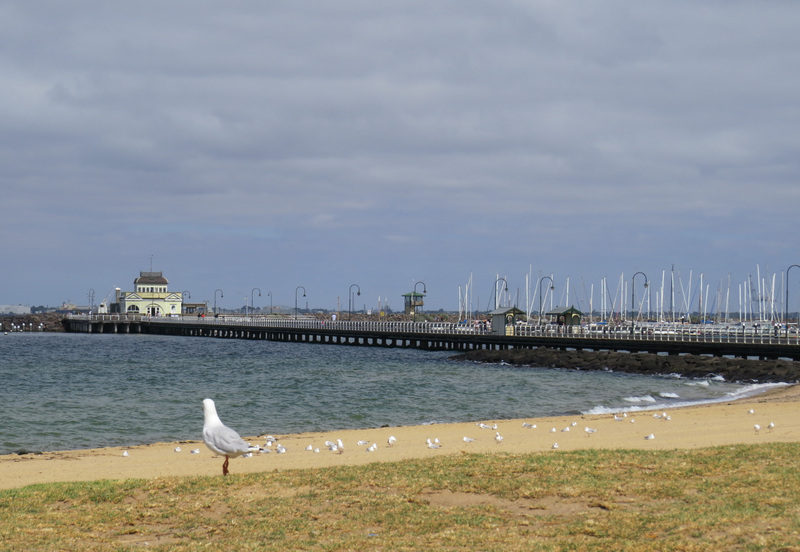 My last day, however, was spent by the seaside at St Kilda Beach. 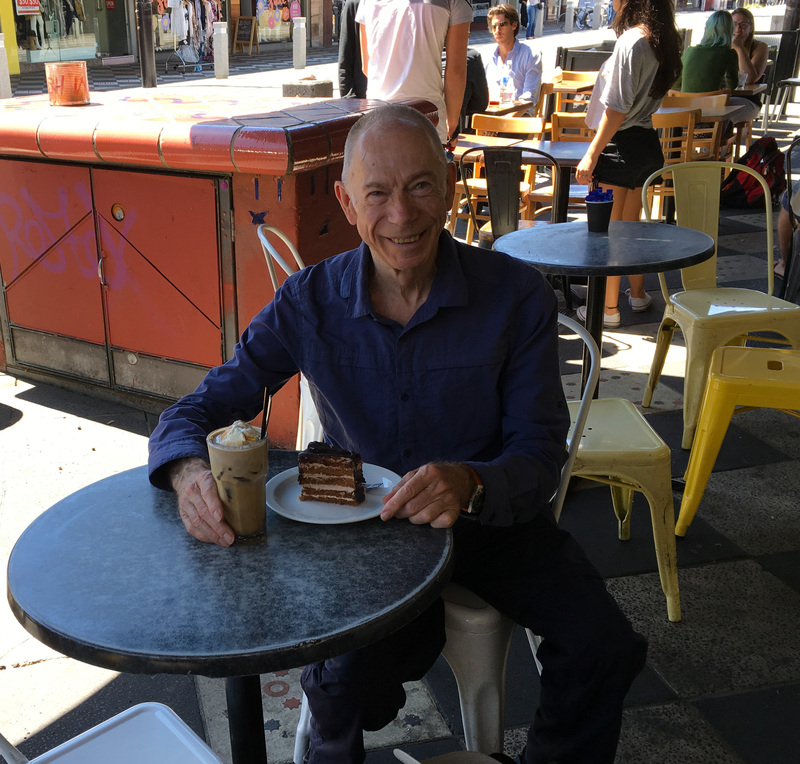 After a gentle stroll along the Esplanade to the end of the pier, I returned to Acland Street with its mouthwatering cake shops and indulged in an iced coffee and cake. Scrumptious!